Sys-X Corporation is a full service software solutions provider offering creative solutions to your business challenges. We have experience building custom solutions, adapting packaged solutions, designing applications and providing expert consulting services augmenting and supporting teams. Sys-X Corporation can provide a Director of IT on a part time basis for organizations that do not have the need for a fulltime Chief Technology Officer or Vice President of IT, or who do and need some additional help. Sys-X Corporation can help you find ideal full time or contract employees through our resourcing services. Unlike a traditional ‘Head hunter’ we work for you, working through our detailed hiring process on your behalf until we find the ideal candidate for your needs. Sys-X Corporation can provide expert consulting to assist your teams with application architecture, database modeling, software design, development and verification. We can provide experts to help you load test your application, to ensure that it supports the level of traffic you are anticipating. We can help you validate the usability of your application’s user interface, to ensure that your clients can effectively use your application. We can show you how to use analytics to track who is getting to your web site, what they do when they are there and why they are not getting to your site. We can perform audits of your application, your web site and your security infrastructure to ensure you are not at risk from intruders. 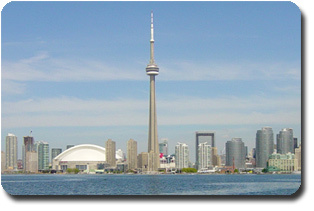 Sys-X Corporation is located in Toronto, Canada and has clients from coast to coast and in the United States. Our clients range in size from small entrepreneurial organizations to large multinational corporations. Please get in contact with us so that we can show you how we can use our experience to assist your organization achieve your business goals! The Becal Ride for the heart will be happening again in the spring! As an involved member of the community, Sys-X is proud to be contributing to this event once again! Our CEO, Sean Forbes, will be taking part in the 75 Km ride. This makes ten consecutive years of supporting Heart and Stroke research! Check back for the pledge form link in the near future because together we can make a difference!